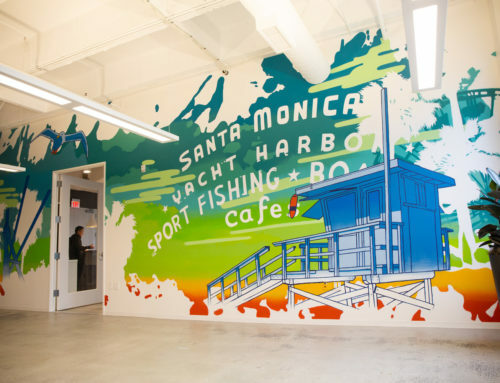 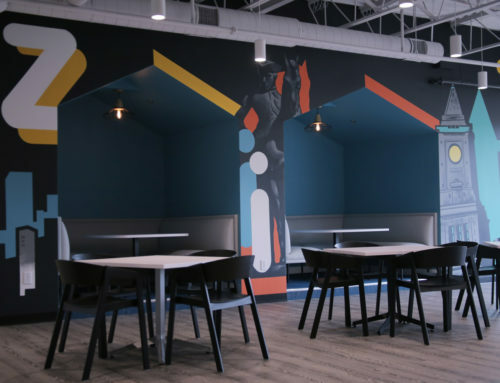 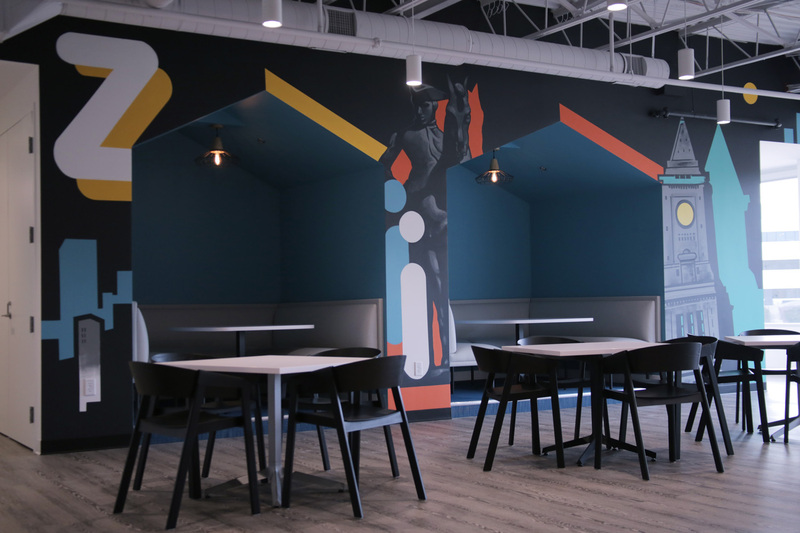 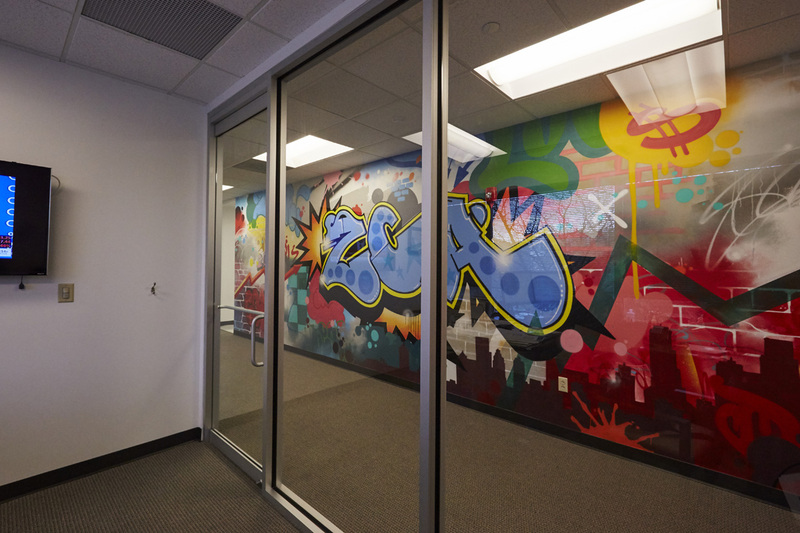 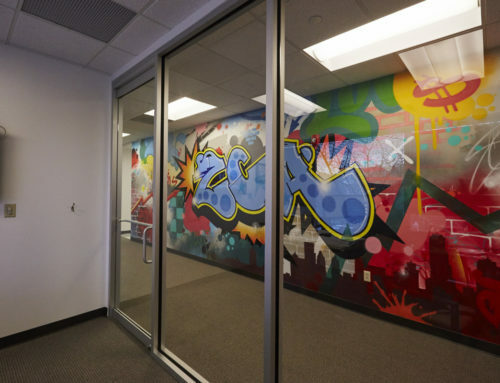 We love to to hear that we came highly recommended after a previous mural project with Expedia! 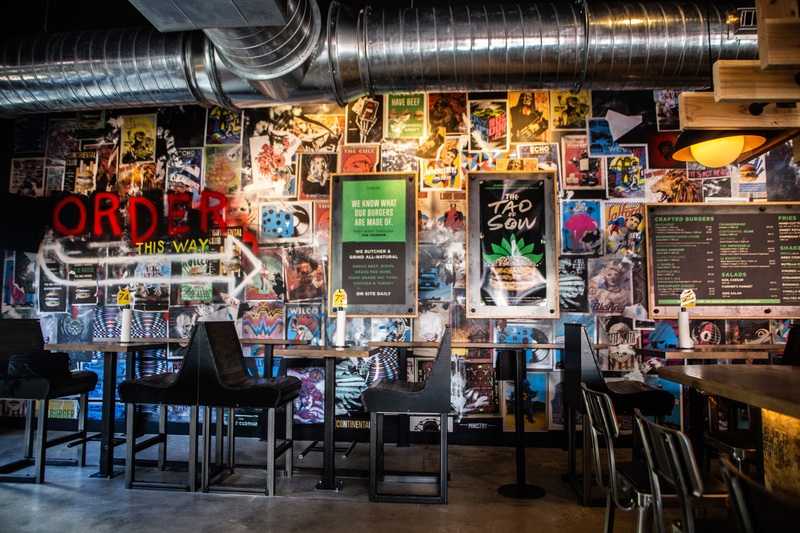 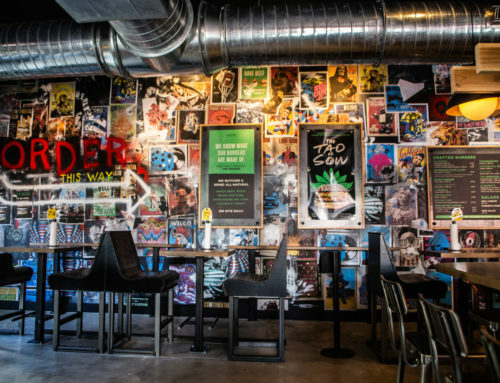 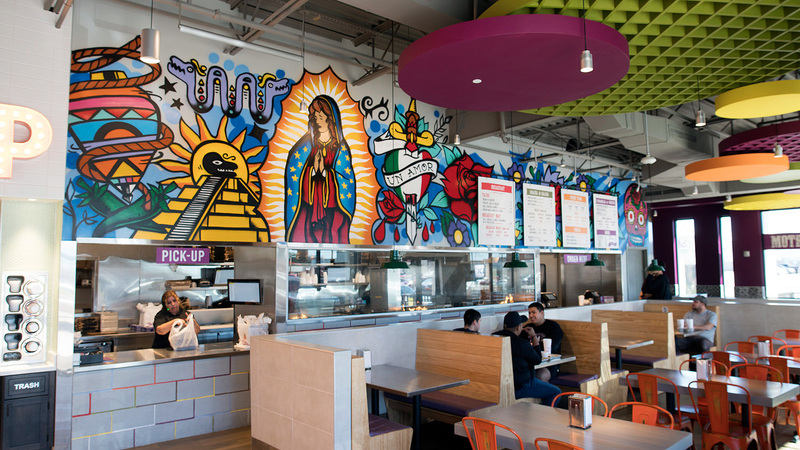 The colorful and energetic mural inspired the S.W. 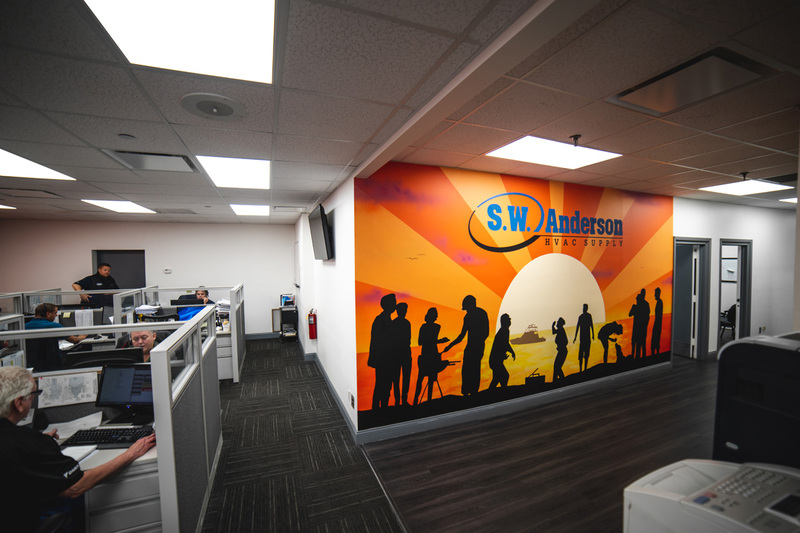 Anderson team to reach out to us to help jazz up their recently renovated office space. 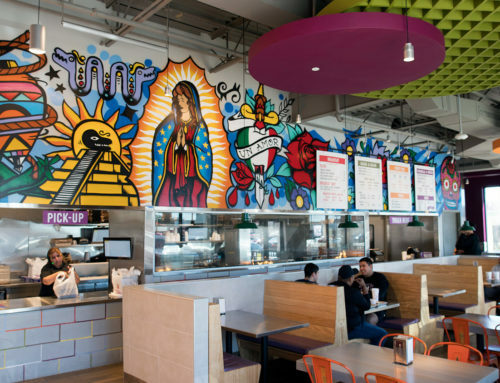 As a tight-knit crew, the employees at S.W. 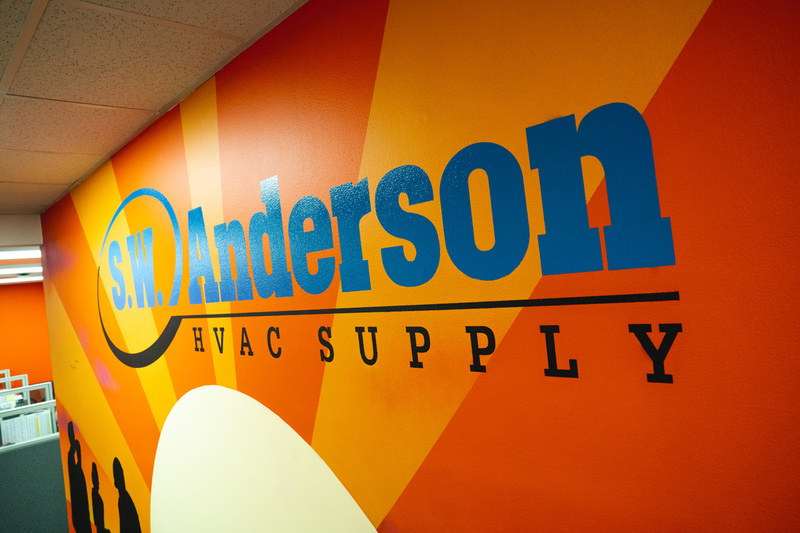 Anderson enjoy spending time with each other outside of the office. 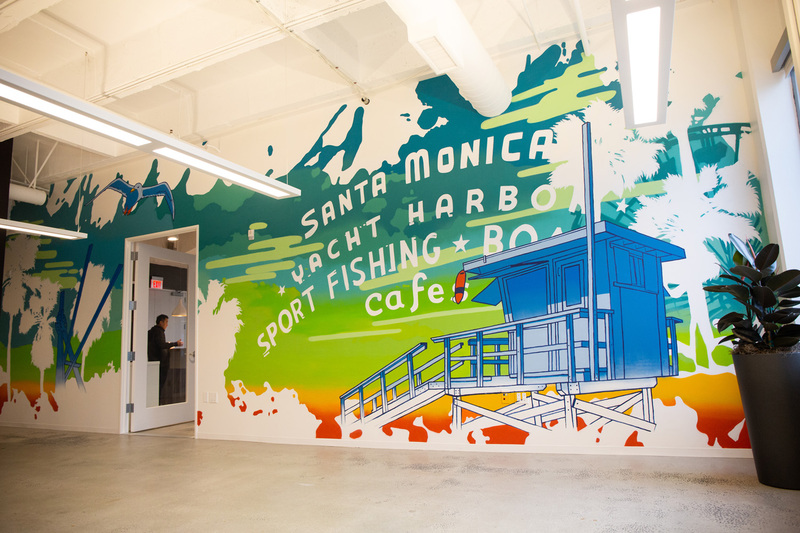 The mural that we painted displayed their sense of inclusiveness, while tieing in the owner’s passion for fishing and boating. 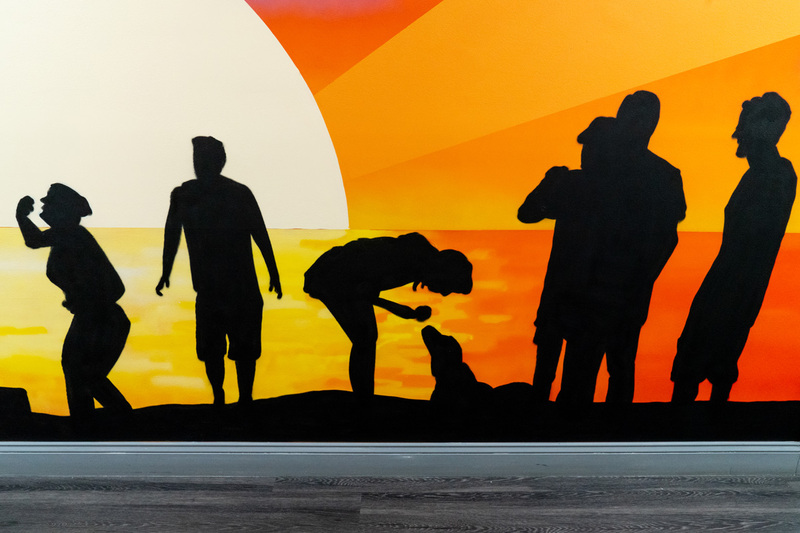 Our artist created a relaxed scene of a late summer get-together on the water, with silhouettes of employees grilling, dancing, and hanging out in contrast with clean geometric lines in the background. 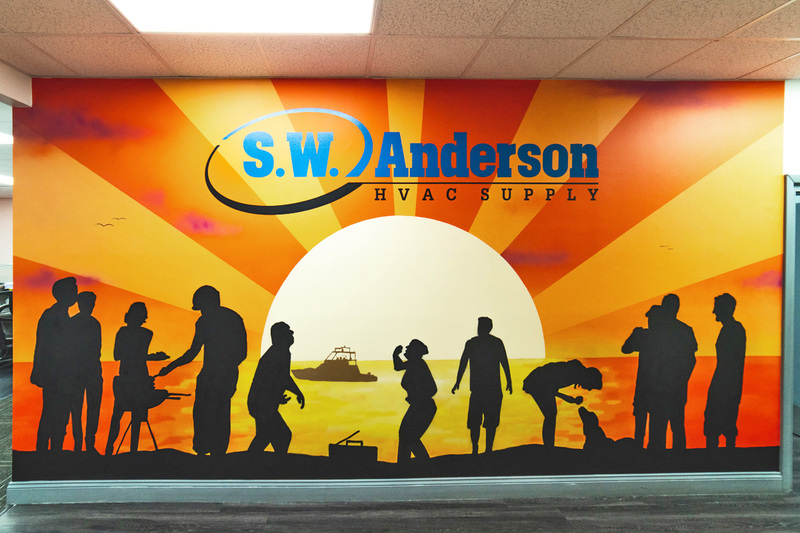 The finished piece gives the SW Anderson family and customers who come to the showroom on weekends, a vibrant wall to admire.